I AM REQUESTING A STATUS CHECK FOR APPLICATION(S) SUBMITTED AT LEAST 2 WEEKS AGO. Application data submitted within the last 2 weeks may not yet be imported into SHA's database. To the best of my knowledge, I HAVE NOT REQUESTED A STATUS CHECK WITHIN THE PAST 3 MONTHS for this waiting list. I understand electronic status check is offered for my convenience. SHA reserves the right not to respond to repetitive requests for status checks. I certify that I am the Head of Household named above, or that the Head of Household gave me explicit permission to inquire about SHA waiting lists. Section 1001 of Title 18 of the U. S. Code makes it a criminal offense to make willful false statements or misrepresentations to any Department or Agency of the United States as to any matter within its jurisdiction. Thank you! We will respond to you within 10 business days. You may need to check your junk or spam folder to ensure you receive our response. If you are updating your address, type the new address here. If not, you can leave this section blank. Thank you! We will process your update within 10 business days. We will contact you if we need additional information. community investment, and coordination with social service providers. If you need a reasonable accommodation to access any of our programs, please visit our offices or contact us. Visit our office at 360 Church St SE. All paperwork can be turned in at the drop box after hours. Find out about our organization, mission, our plans & policies, as well as budget and audit information. Ready to take the next step? You can apply for housing using the provided applications or online for select programs. 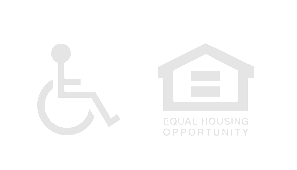 We are an accessible, equal housing opportunity provider. We meet HUD fair housing standards. View our statement of nondiscrimination or file a complaint. Our offices will be closed Tuesday, January 1st, in observance of New Year's Day. Our offices will be closed Tuesday, December 25th, in observance of Christmas Day.